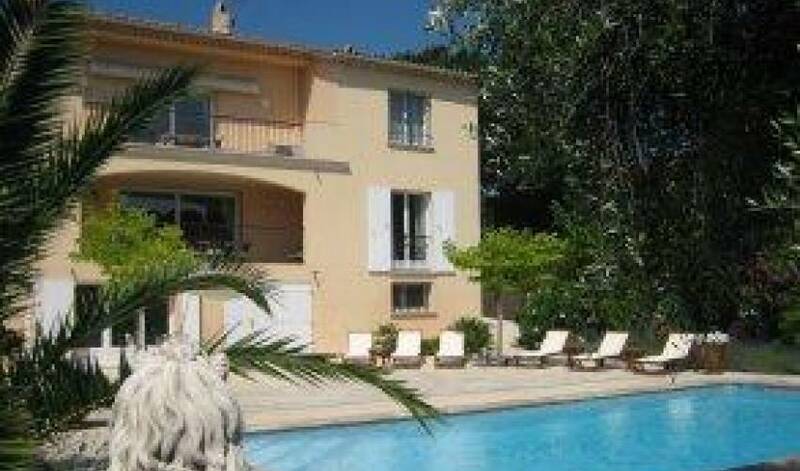 A property ideally situated within walking distance to the famous "Place des Lices" in the centre of St Tropez and only a five minute drive from the beach. The living and dining rooms open out onto the terrace overlooking the pool with an area for outdoor eating. The large tiled and covered terrace is the perfect place to enjoy "al fresco" dinners in the evening. 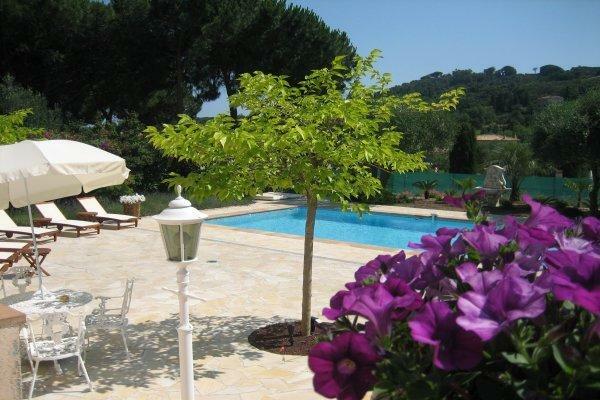 The villa is surrounded by a lovely flowered garden with a large lawn, making it an ideal place in which to relax. 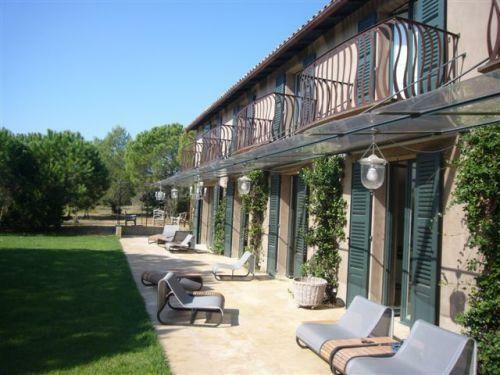 The house is decorated and furnished to a high standard in a contemporary style. 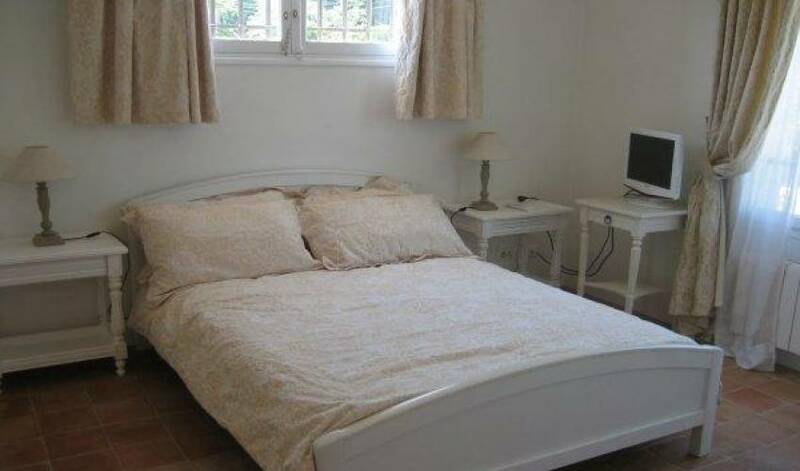 The master bedroom is especially nice with a lovely en-suite bath and shower room and it leads to a lovely terrace. 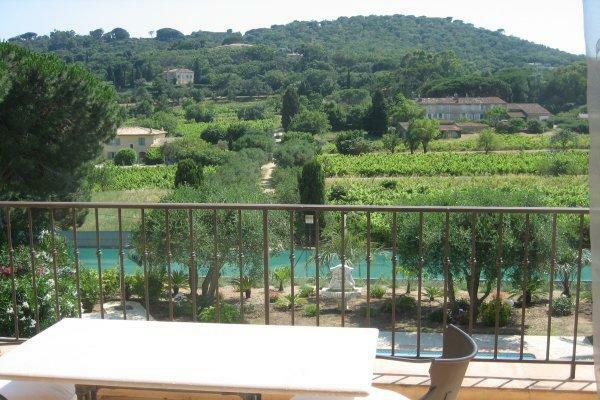 A perfect holiday house to enjoy the great town of St Tropez! GROUND FLOOR Entrance hall - Guest toilet - Living room with fireplace - Dining room - Separate fully equipped kitchen - Outside covered terrace with dining table. FIRST FLOOR Master bedroom with en-suite bath and shower room; terrace - Two double bedrooms with en-suite shower room. 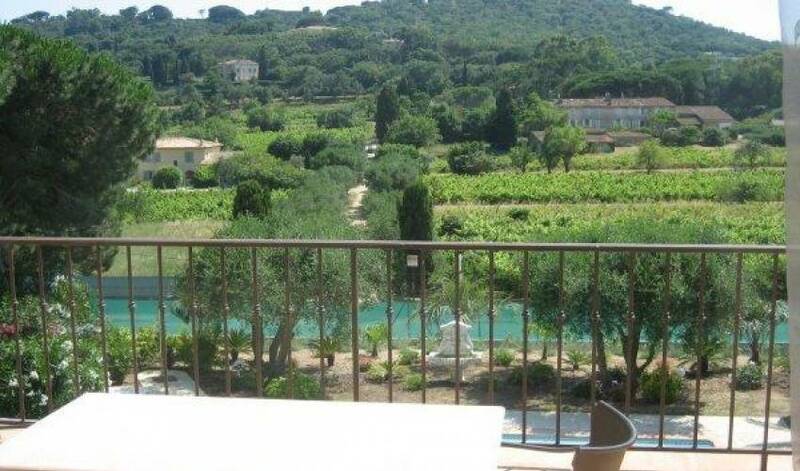 Nearest town	St Tropez	5 min. Nearest airport	Nice	90 min. 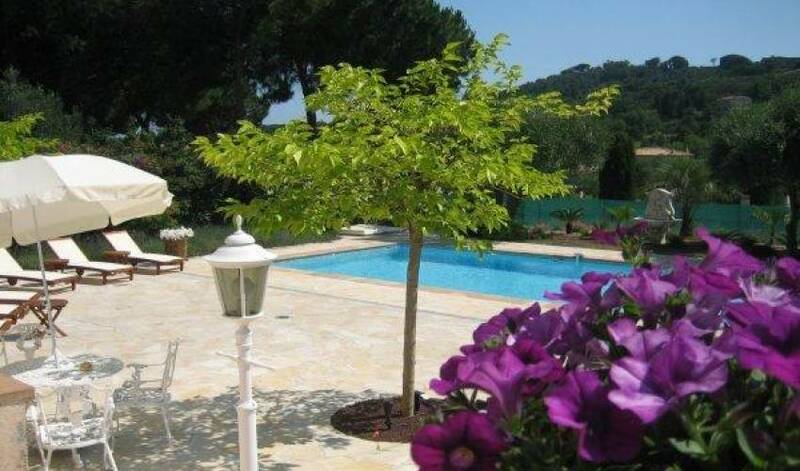 Nearest airport	Toulon	60 min. 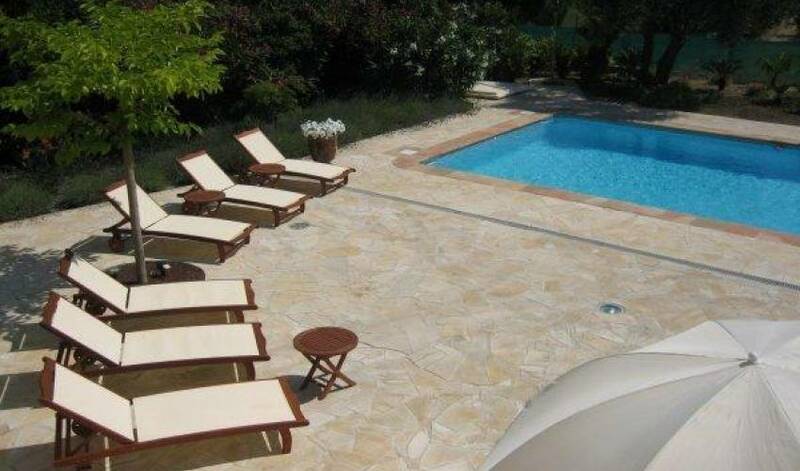 Nearest beach	St Tropez	5 min.